This Boca Raton home was just listed in the beautiful community of Bay Colony. This contemporary style home is located on a deep-water canal which provides residents with breathtaking views. This home was recently redone and features a wide open floorplan, 4 bedrooms, 4 full bathrooms, 1 half baths, a 2 car garage, a top of the line kitchen, marble flooring, high ceilings, a new metal roof, new impact glass windows and doors, a massive paved deck with a private swimming pool and jacuzzi that overlooks the land level dock and boats that pass in the backyard. This home also includes panoramic water views from the second story master suite that features a large balcony, an immaculate master bathroom with a large shower and separate jet tub, and his and her vanities. 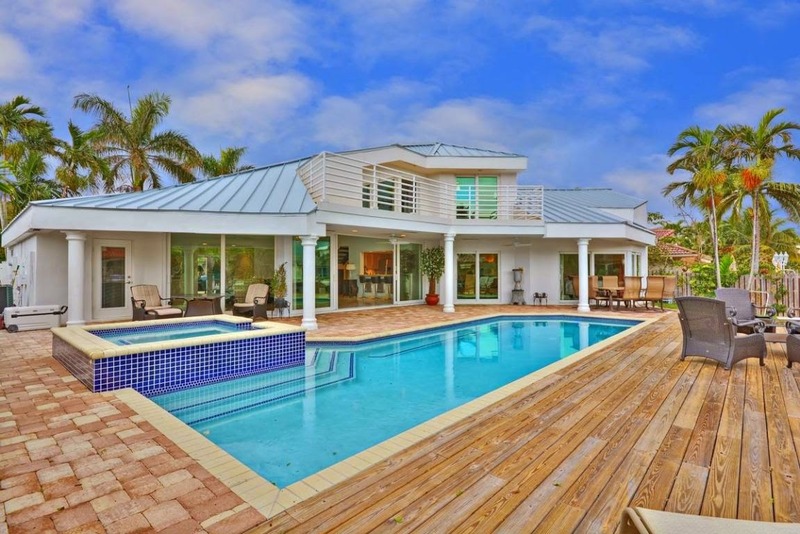 This magnificent home is located in Boca Raton otherwise known as "A City for All Seasons". Boca Raton was established in May of 1925 during the Florida Land Boom of the 1920's and has continued to grow into the luxurious town that it is today. Boca is known for its affluent social community and high income demographics and also includes one of the only "5 star" hotels located in Florida, the Boca Raton Resort & Club which is Addison Mizner's former Ritz Carlton Cloister Inn built in 1926. Boca Raton is lined with pristine east coast beaches and is home to a plethora of championship golf courses. Boca Raton residents and guests enjoy shopping and dining at the many world renown shops and restaurants including the Town Center Mall and benefit from having a variety of nearby International Airports to choose from making travel quick and convenient.